After the post of stills of Syrian MiG-21's, I have prepared this post for the mighty Syrian MiG-23's with some very rare stills been published for the first time. 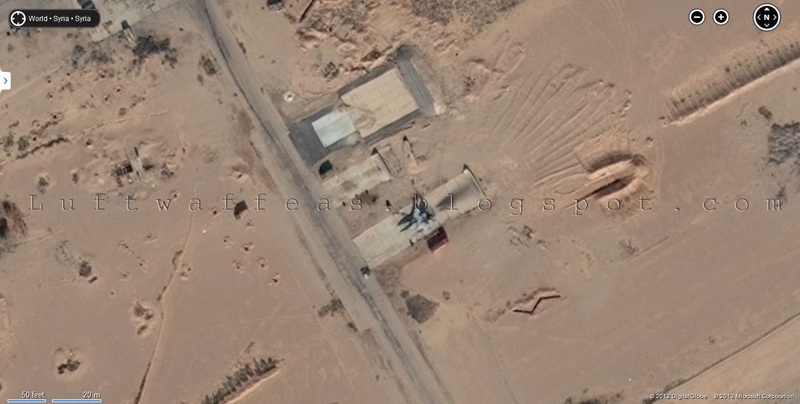 Actually it is one still which is shown above, for a Syrian MiG-23ML in a HAS ready for scramble fitted with two AA-7 Apex missiles under the pylon of the wing gloves. 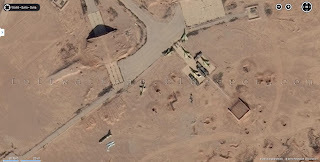 While unfortunately, It is very hard to recognize the missiles those are fitted under the fuselage on both sides of the additional fuel tank...should be AA-8 Aphid's. 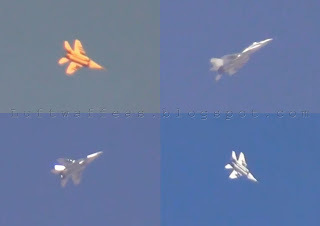 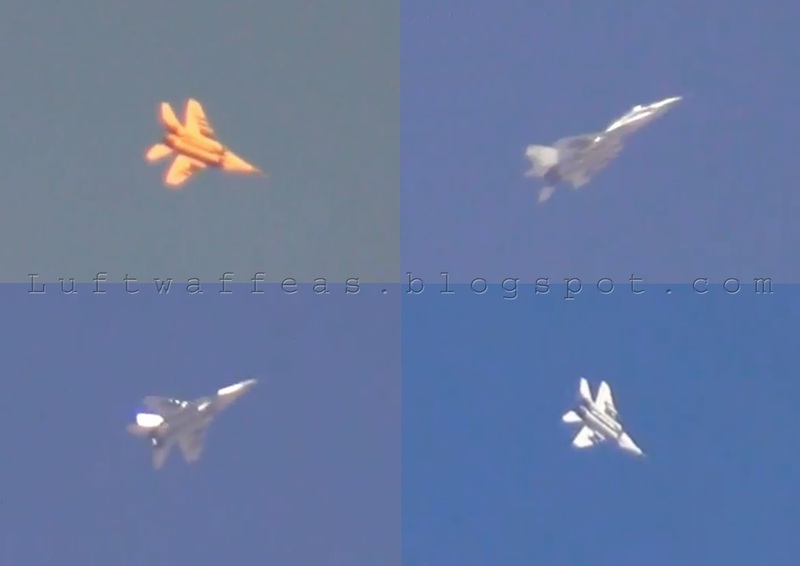 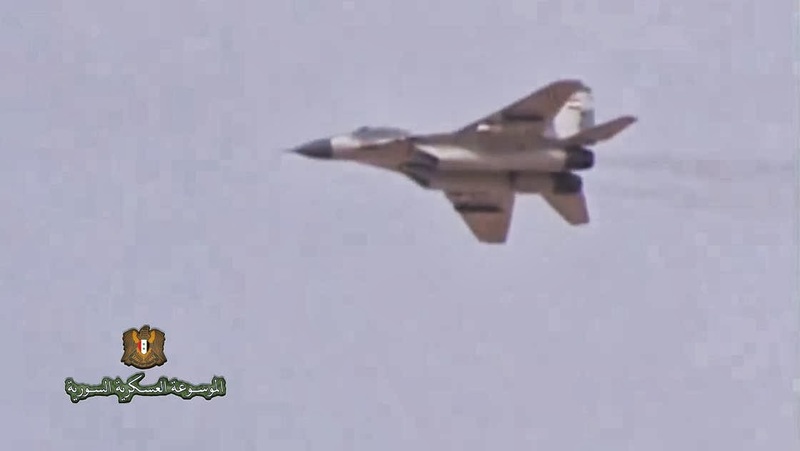 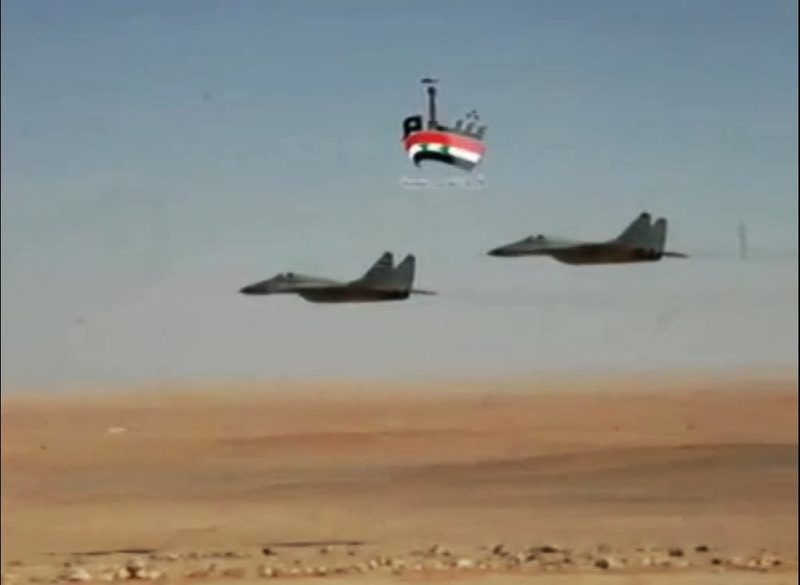 Another Syrian MiG-23ML appeared in media during the last SyAAF live fire maneuvers took place on July 2012. 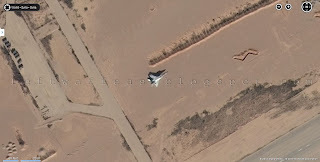 It carries the serial 2795. 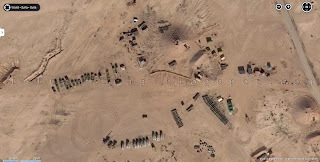 Such type has received serious overhaul in Krasnodar facility in Russia. 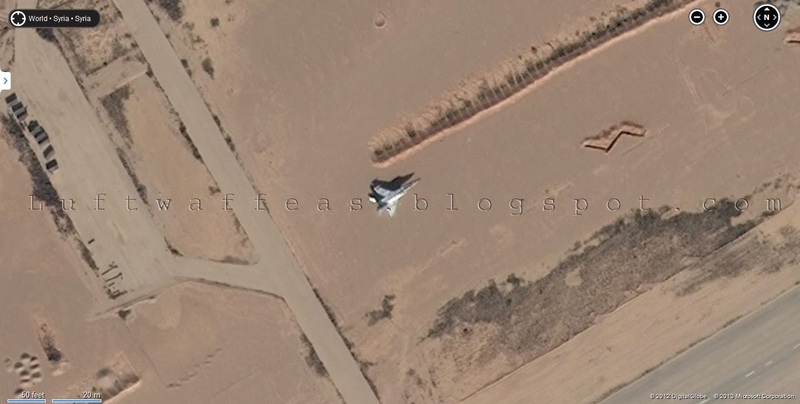 Another Syrian MiG-23's could be spotted in Hama AFB few months ago. 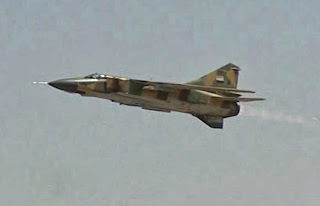 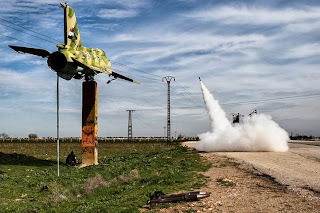 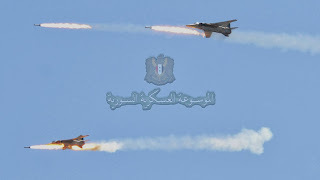 The very famous take of the pair of SyAAF MiG-23BN's also appeared in the said maneuvers of 2012, firing S-24 unguided air-to-surface rockets. 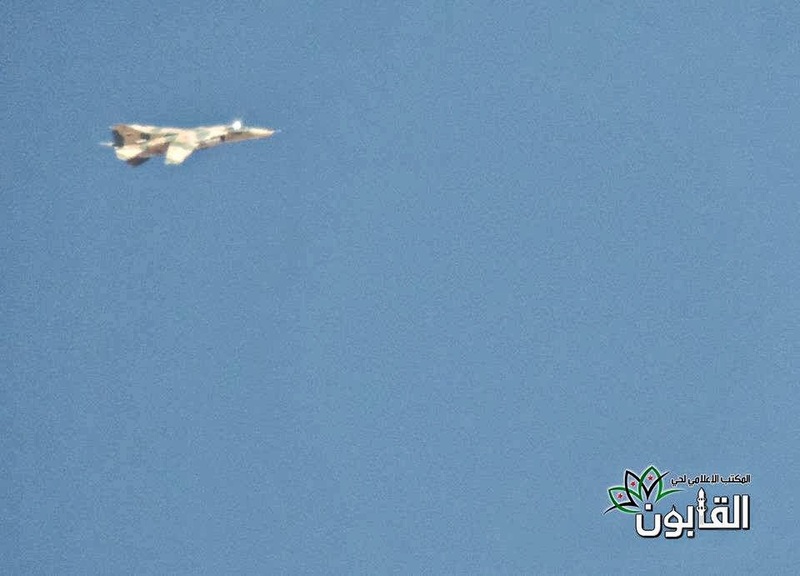 Great clear shot for a SyAAF MiG-23BN flying over Qaboon district in Damascus in Sep. 2013 after bombardment sortie, showing details of camo could be of interest of modellers and profiles makers. 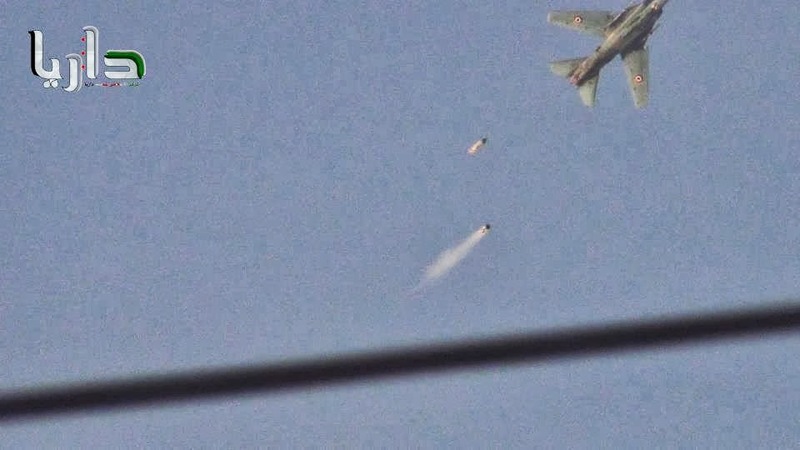 Another shot from the bottom for a SyAAF MiG-23BN was taken on 21 Aug. 2013 while dispensing flares over Darayya in Damascus. Updating the photo archive of Syrian MiG-21's with new interesting stuff from the period before and after the current Syrian uprising. 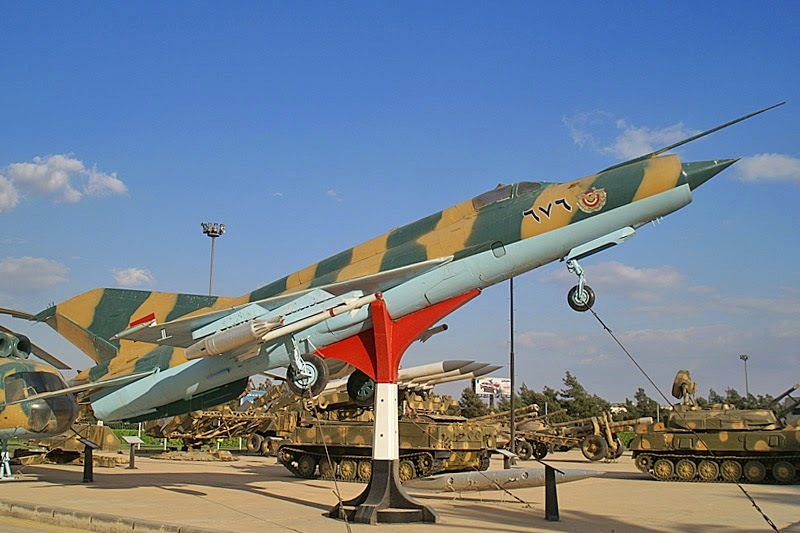 Starting to a photo for the MiG-21R which is in display in Teshreen Panorama in Damascus. 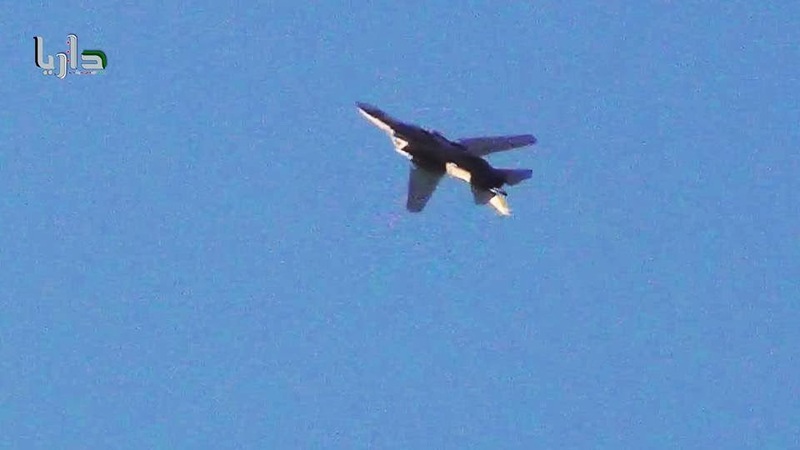 This photo is one of the first being taken for this aircraft since the reg. number is still readable 676, as recently the plane received new paint with terrible froggy patterned camo where the serial number is hidden completely -I prefer not to post here at all. Another shot for the same reconnaissance variant (note the wing tips which are different than any other fighter variant of this type). 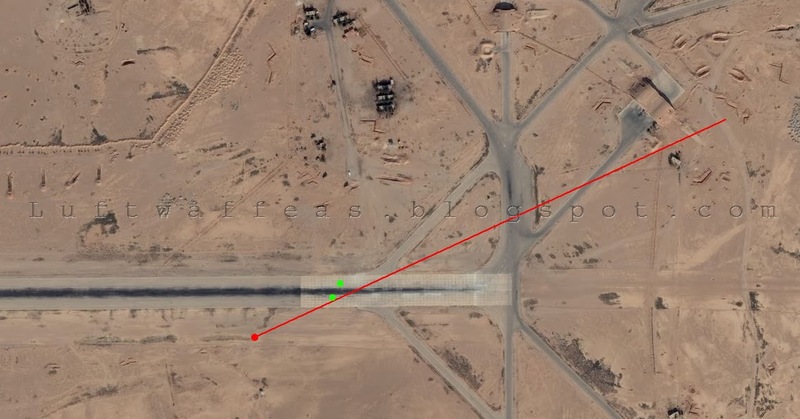 Here it's equipped with 2 x AA2 Atol's with 2 x UB-16 unguided rocket pod (thanks to Oryx for his latest post about pods). 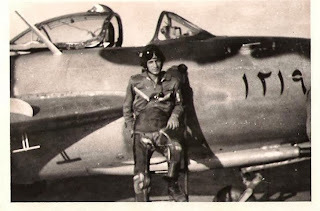 BUT, because of the style of the post carrying the aircraft, it was impossible to mount the very famous camera pod on the centreline pylon. 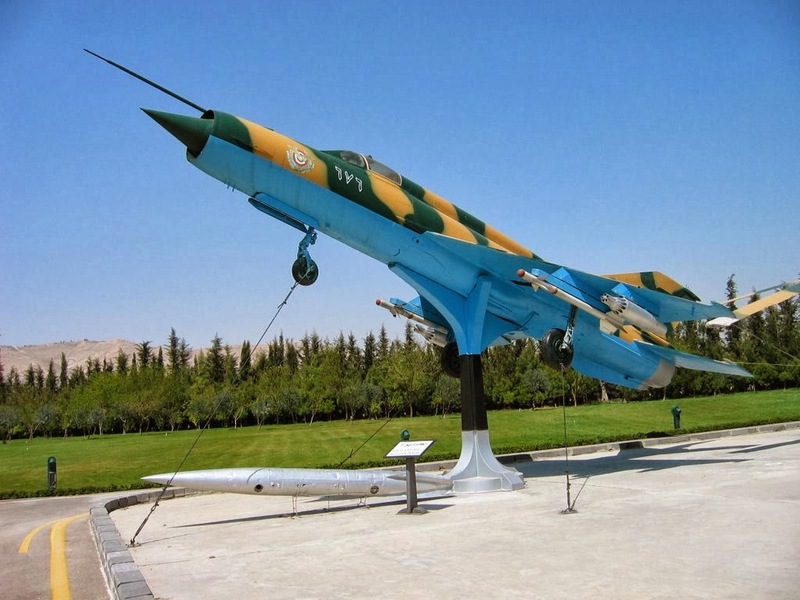 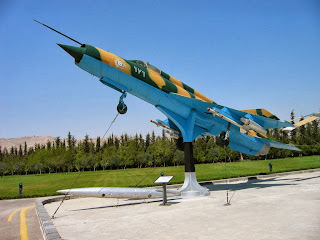 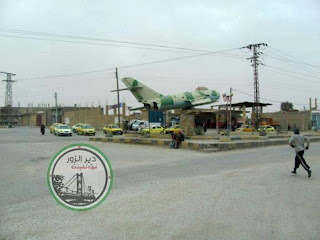 Again, new photos for the monumental SyAAF MiG-21FL at the main entrance of Kweres AFB, this time while rebels are shelling the base with locally made rockets. Another take for the same FL in a foggy ambiance as hardly we can see the signage of the Air Force Academy on the furthest right. 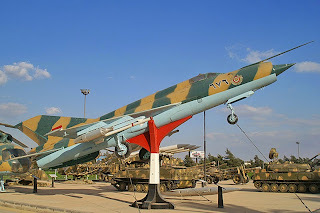 The MiG-21MF served for the SyAAF for more than 40 years. 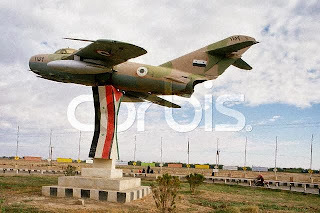 I believe there are no more survivors of this type nowadays. Thus, I would consider any post-uprising spotted MiG-21 is a 'bis'. Here is one releasing two S-24 air-to-surface unguided missiles. 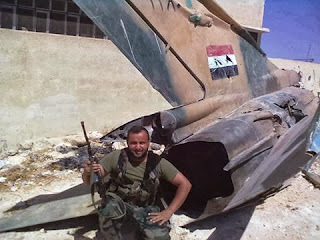 Not to forget the second MiG-21bis with serial 2280 downed just after taking off from Abu DhHour AFB in August 2012. 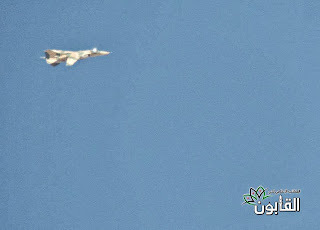 SyAAF MiG-21bis maneuvering over Tabqa town (near Euphrates Dam). Another bis accelerating after releasing its load somewhere near Tabqa town. 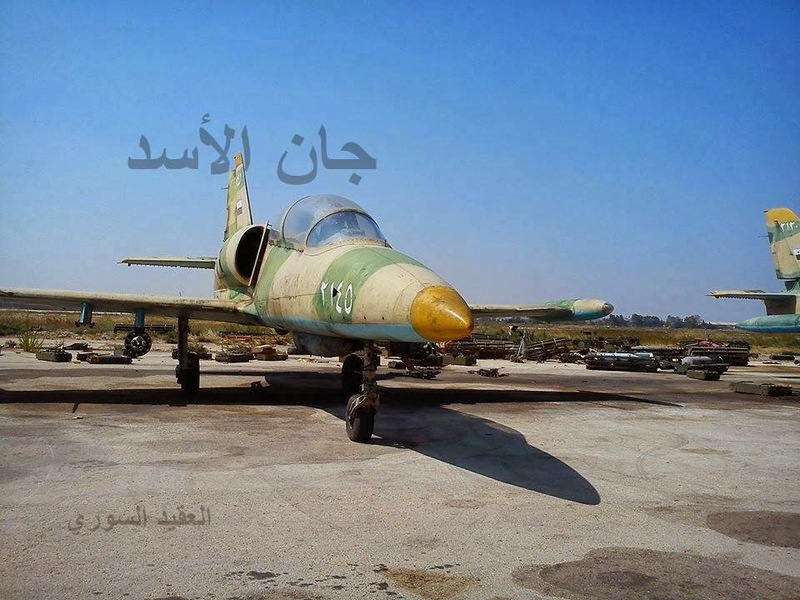 Few stills of SyAAF MiG-15's and MiG-17's I collected from many sources, gathered them in a post to share them with you. 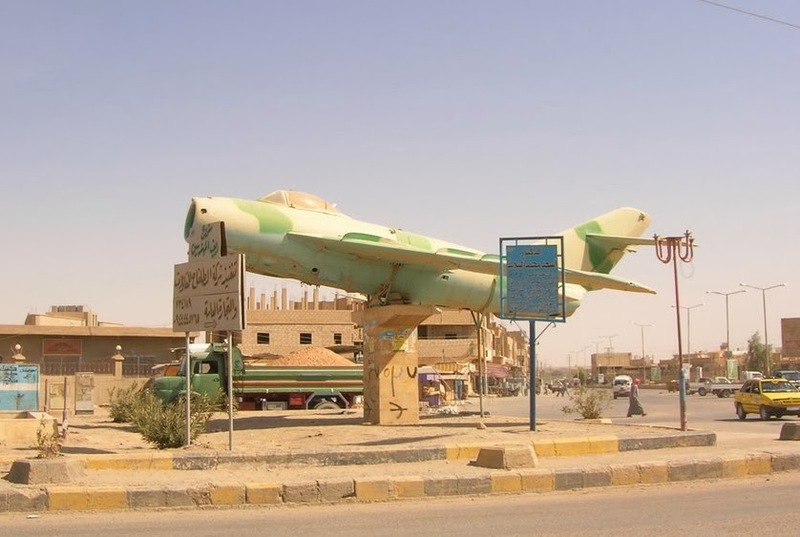 For the 40th anniversary of Teshreen war, I would choose to start with a MiG-17 in display in Deir EzZour, the birthplace of the great ace Ghassan Abboud who could downed Six Israeli aircraft during the war. 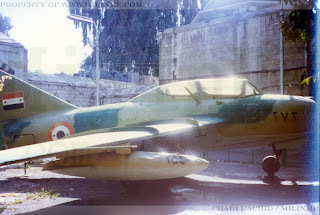 Another shot for the same MiG-17 which is in display in a roundabout in the city which is known as 'aircraft roundabout'. 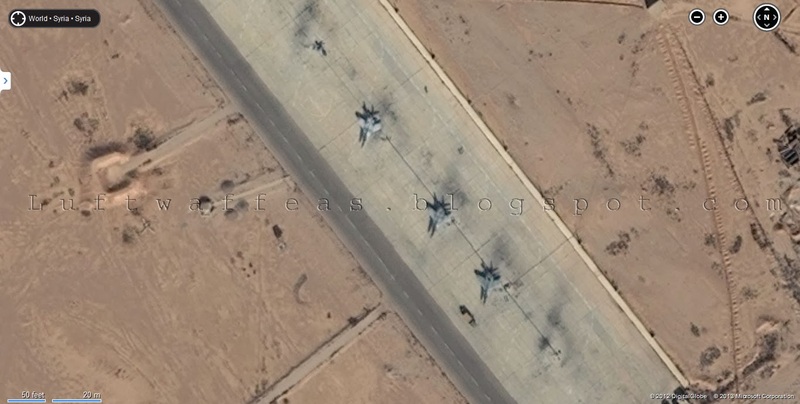 I'm not sure here whether the camo is original since the serial numbers are over-painted. 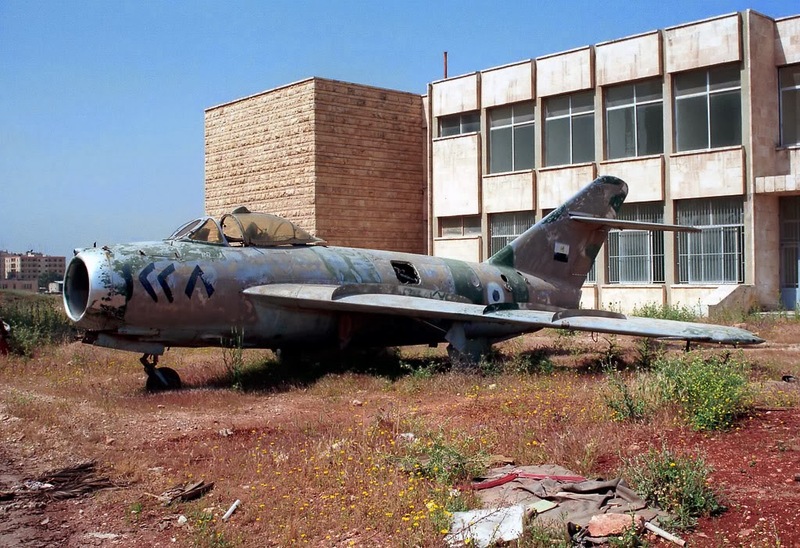 Rare shot for a SyAAF MiG-17 with its serial number 1219. 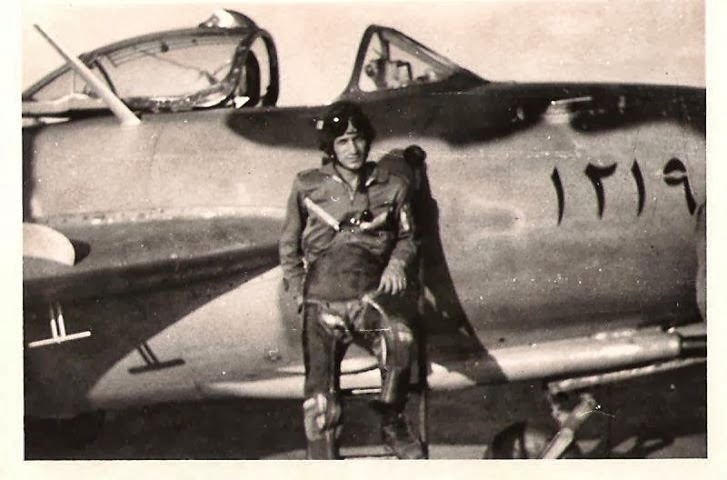 Infront, the pilot Riyadh Ali Hmesheh who was martyred during the aerial combats over Lebanon in 1982. Another MiG-17 in display, but I could not recognize the location. It carries the serial 1159. 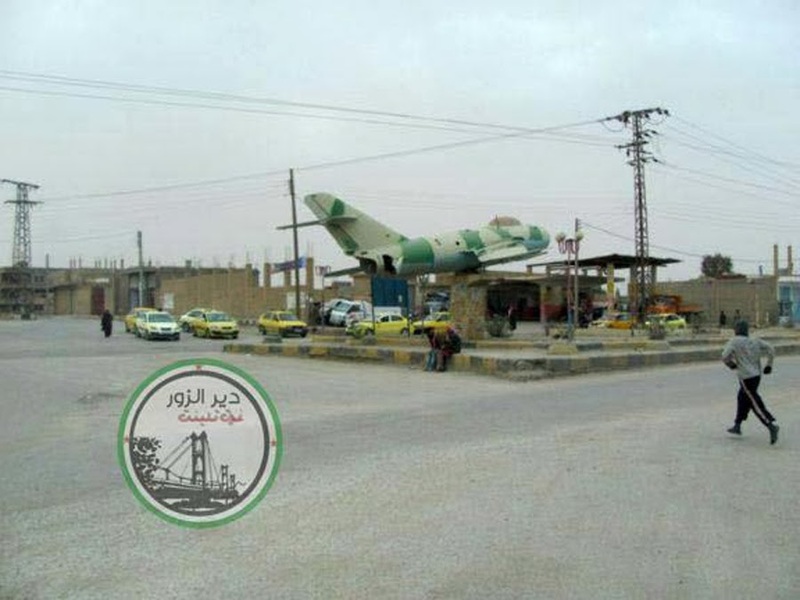 MiG-15bis also in display in Aleppo city. Another shot for the same. The insignia under the cockpit is probably the Air Force Academy's. 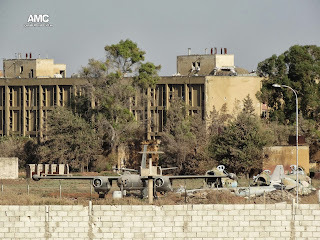 Few rare shots I could find taken in the air force base -currently more than an international airport- of Neyrab, since almost two years this air base has been playing a serious role in the attack sorties the SyAAF is conducting against Aleppo city and its country. 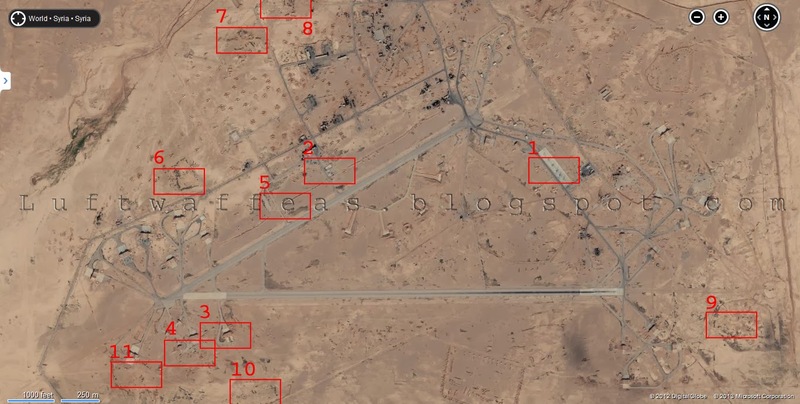 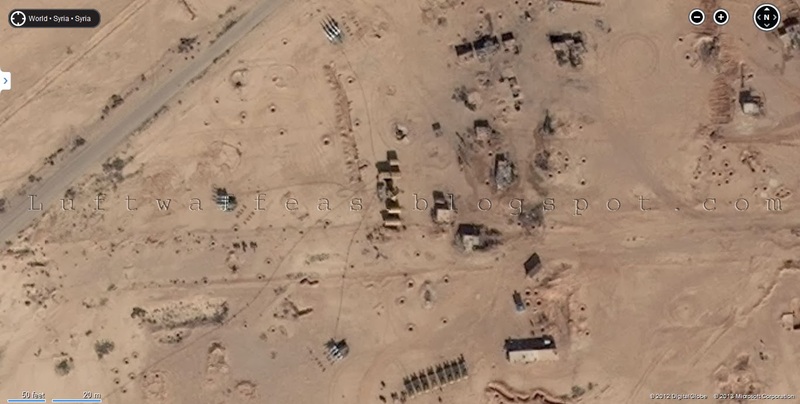 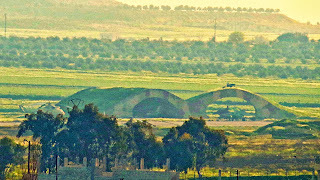 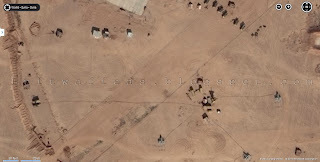 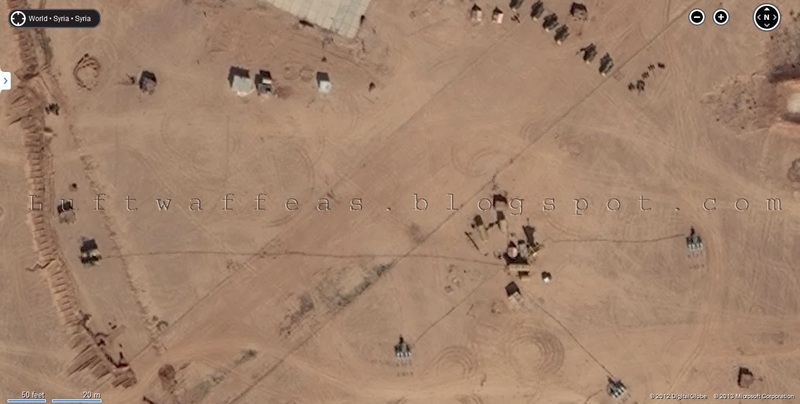 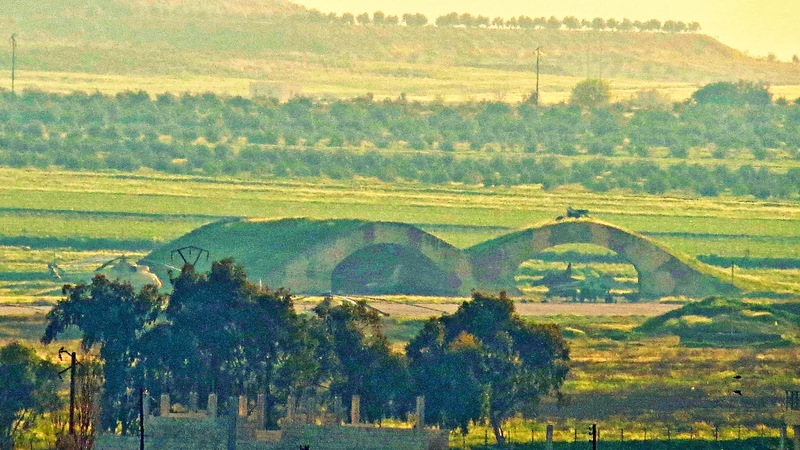 This base has been attacked by FSyA many times, been under siege for few months, resulted in a suspected damage to a Syrian Air Il-76 has been stationed there and seen along a year in its place on the main tarmac of the civilian part. 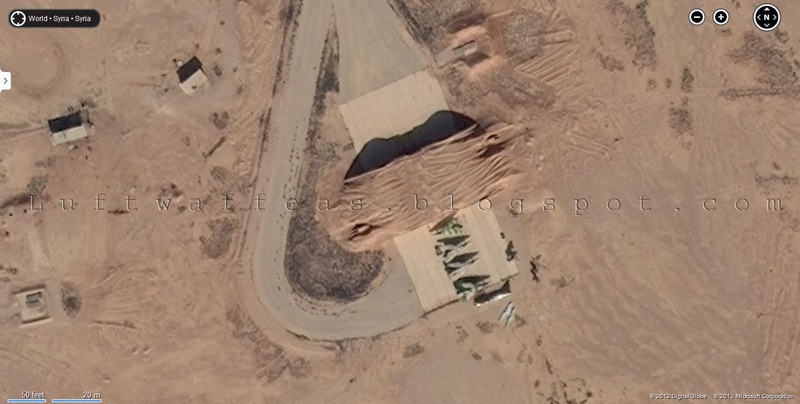 No surprise to see the L-39's are still flying these days over Aleppo which the last one was spotted just yesterday, as 'The Factory' in this base keeps them operational. 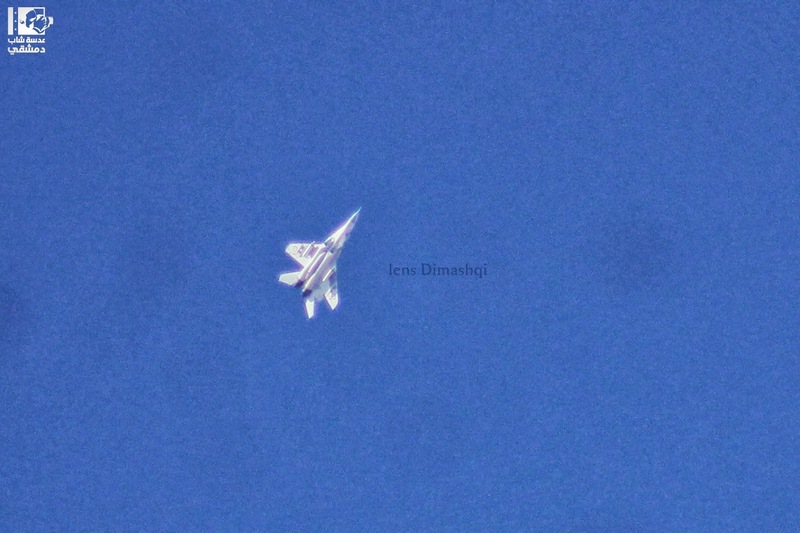 Above, a photo for an armed L-39ZA carrying the serial 2145 spotted a year ago firing unguided rockets and releasing FAB's over Aleppo. 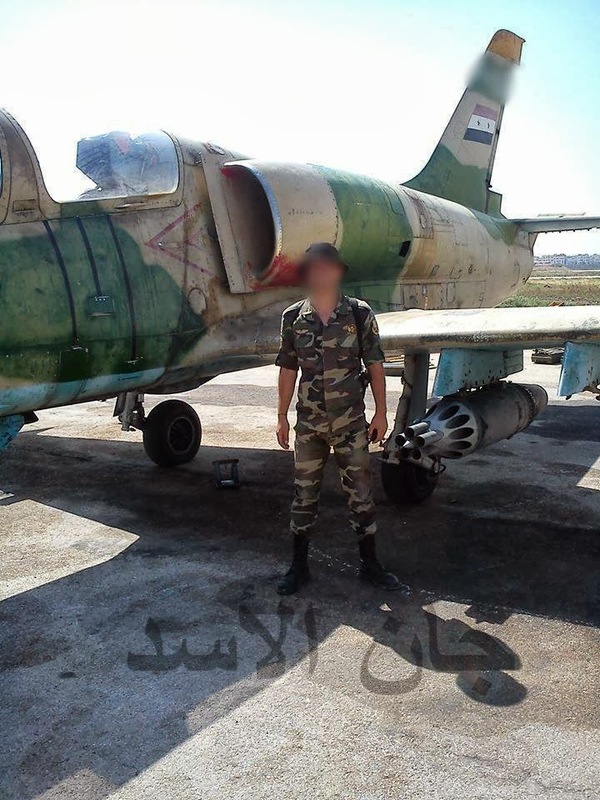 Beside it another L-39ZA with serial 2130. 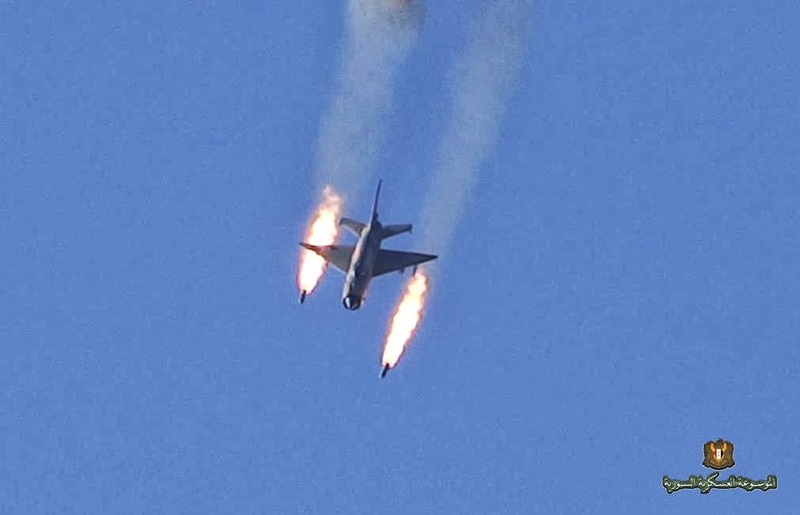 Another shot for one of these L-39ZA's with its rocket pods. A shot from distance for the tarmac of the military section of the base showing the frontal hangars of 'The Factory' with four L-39's infront. 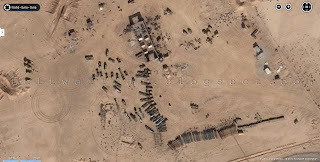 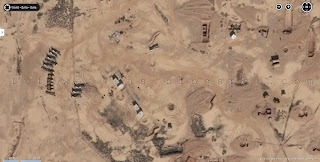 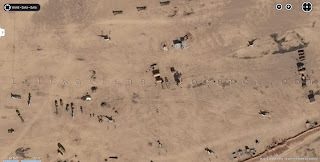 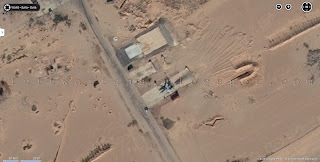 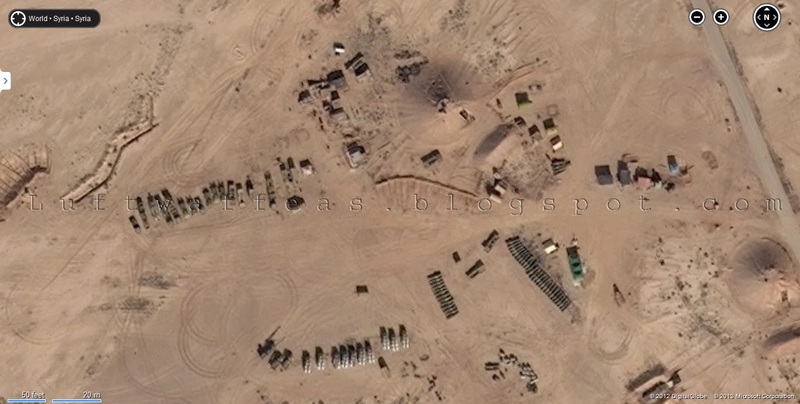 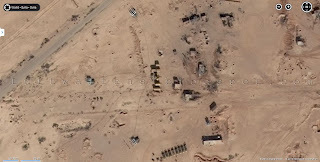 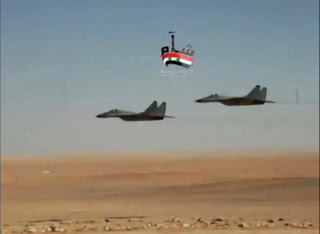 In many aerial images and various videos for this area, there were around four MiG-23's left, probably are UB variants. Returning back to the civilian section where few Mi-8's are parking there. 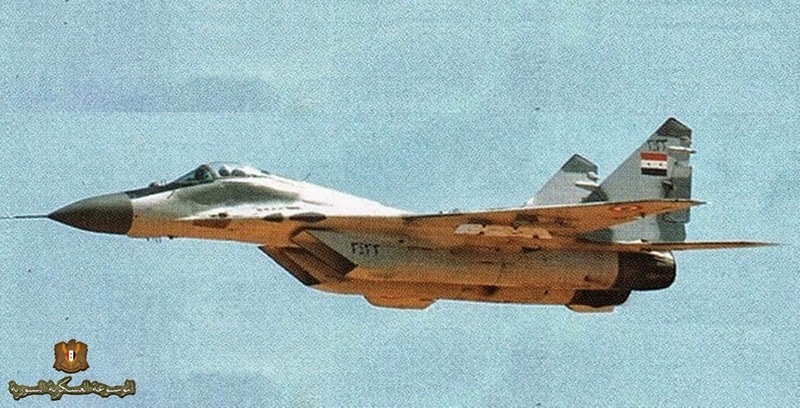 The above carries the serial 35. 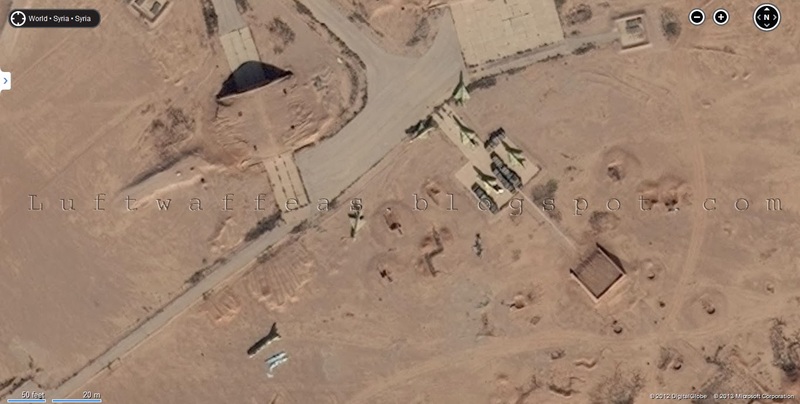 Another Mi-8 beside, with serial 79 (having its complete serial number 379). 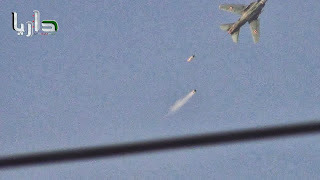 Finally, a shot for the Il-28 in its place with a fuselage of a Meteor lies infront.